St. John's Altar Guild prepares the church for services and special occasions that include Holy Eucharist, such as Baptisms, Confirmations, Memorials, Christmas, Easter, The Feast of Our Lady of Guadalupe, Ordination and a visit from our Bishop. The Altar Guild has four teams working one week each month. 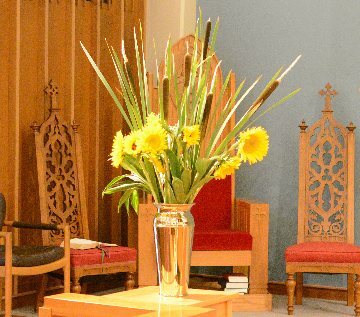 Each team has a Captain, a flower person and team members who set up the Altar for communion, clean up after communion, wash and press linens and set up the Altar for the next service.